DAVID LE/Staff photo. 5/19/15. 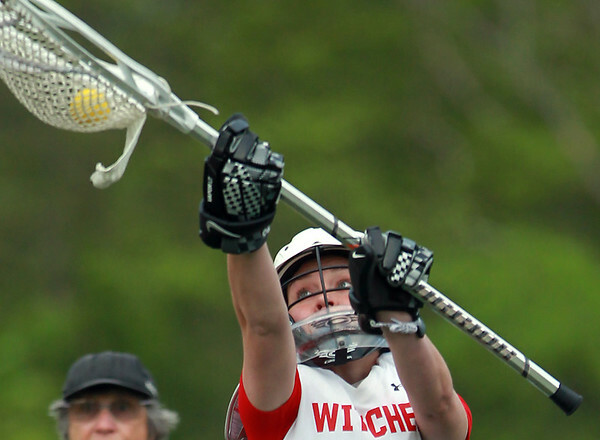 Salem goalie Sydney Rocheville keeps her eyes on the ball as she makes a reaching save above her head against Gloucester on Tuesday afternoon. Rocheville make some key saves to help lead the Witches past the Fishermen 14-8 at Bertram Field.